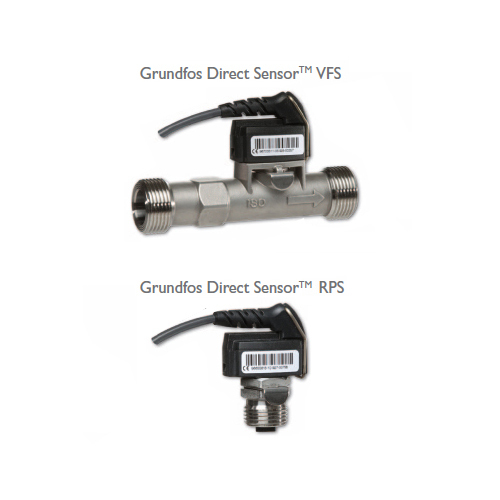 Grundfos VFS, RPS, VFD and RPD sensors are all two-in-one sensors working with different liquid media such as water and Glycol. 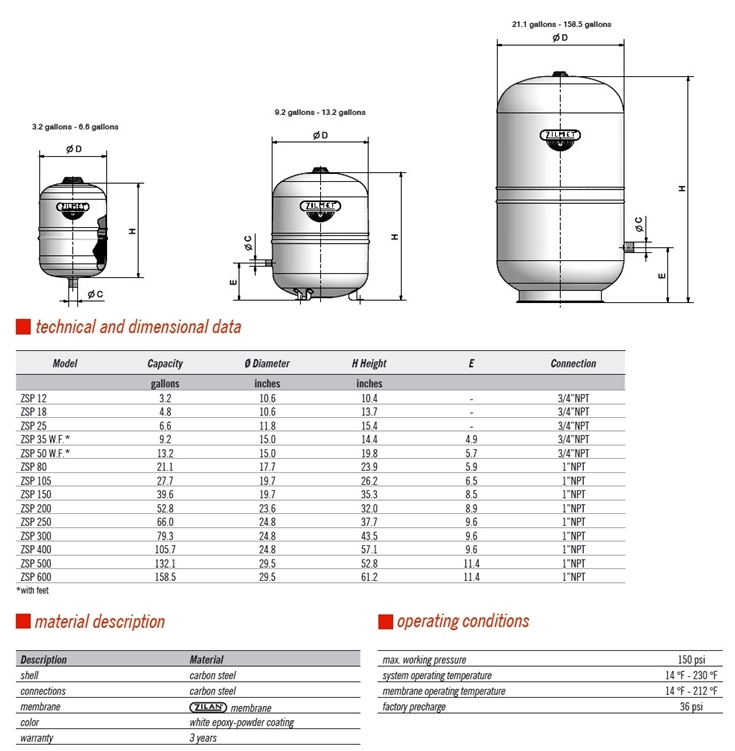 Grundfos VFS and VFD measure temperature and flowrate, and Grundfos RPS and RPD measure temperature and pressure. Resol DeltaSol MX can directly work with Grundfos Sensor VFS, RPS, VFD, and RPD. Resol DeltaSol BX can directly work with VFS and RPS. SOLARPLUS TM is a vertical vessel with a bottom flange to allow membrane replacement whenever necessary. 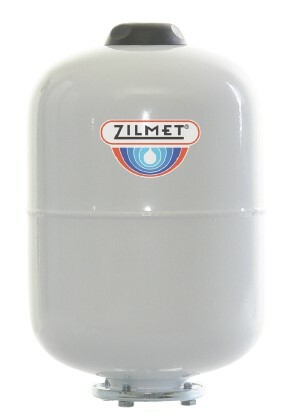 This vessel can handle pressures up to 150 psi. Please visit our site for more details. 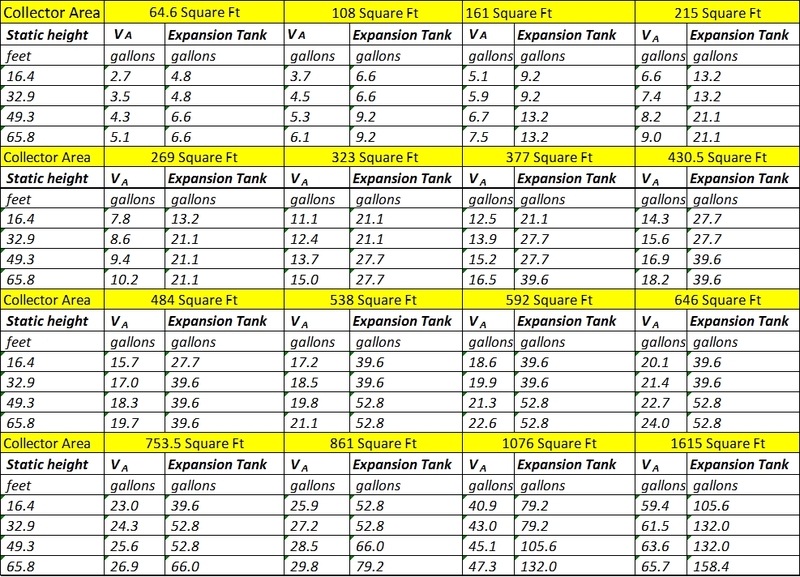 VA is total solar side working fluid volume.